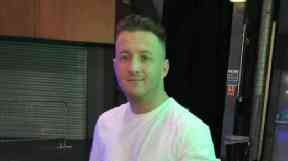 Kenny Reilly, 29, died after being shot in the head through the window of a car in Glasgow. Kenny Reilly: Shot in the head in Glasgow. 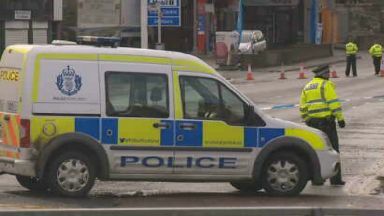 Police are appealing for information about a second car linked to a fatal shooting in Glasgow. Kenny Reilly, 29, died after being shot in the head through the window of a silver BMW he was a passenger of in Maryhill at around 10.30pm on April 16, last year. 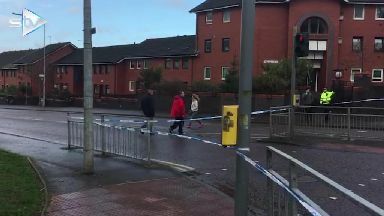 The masked gunman was seen getting out of a black Ford S Max before the shooting on the junction of Maryhill Road and Bilsland Drive. The car, which had been stolen from Giffnock the previous month, was later found burnt out in nearby Craigieburn Gardens. Mr Reilly was taken to Glasgow Royal Infirmary by ambulance and died a few days later. Detectives are now appealing for information about a second stolen car spotted in the area at the time of the shooting. Chief inspector Stevie Wallace said: "We now believe that a blue Volkswagen Polo car, which was fitted with a distinctive roof rack, was seen in the area of Kenny Reilly's home in Maryhill Road. "It was seen being driven towards Craigieburn Gardens between 9.30pm and 9.40pm. This was shortly before the shooting. "It was then seen being driven south on Maryhill Road, towards Glasgow city centre around 10.30pm, after the attack. "We have established that the Volkswagen Polo had been stolen from the area of the University of Glasgow School of Veterinary Medicine in Maryhill during September 2017. "The day after Kenny Reilly's murder the Polo was recovered in New Lairdsland Road, Kirkintilloch and we have established that it had been fitted with false registration plates, bearing the number RE57 EUU. "It was abandoned over two lanes of the road causing an obvious obstruction and an attempt had been made to set it alight, however, very little damage had been done. "The car was removed and we are pursuing all forensic opportunities from it." He added: "I am appealing for anyone who has information about who stole the blue Volkswagen Polo, or has any knowledge of its movements since it was stolen, to get in touch with our enquiry team. "The attack on Kenny Reilly was not a random one. There is no doubt he was the intended victim and that he was targeted by the suspects. "During the course of this complex and challenging enquiry we have spoken with hundreds of members of the public, reviewed thousands of hours of CCTV and continue to appeal to anyone with information which can assist our enquiry to get in touch."